I’ve paddled twice so far this vacation. Finally did the long, interesting levy drive north along Garden Highway. Well over an hour later I put in on the Feather at Boyd’s Landing just south of Yuba City. While it was nice, it wasn’t markedly different that paddling closer to home. Paddling off of Crissy Beach was choppy and I didn’t make it far. There was a nice sunset beyond the Golden Gate though. 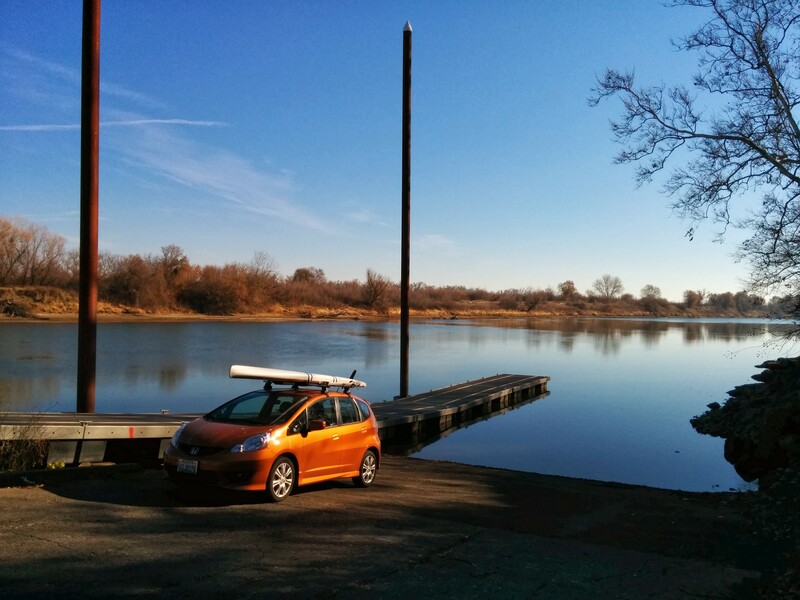 It turns out that my small Honda Fit is perfectly capable of carrying a 12’6” SUP.